Responsible Gambling LuckyRedCasino | Play for Free or Real Money Today! 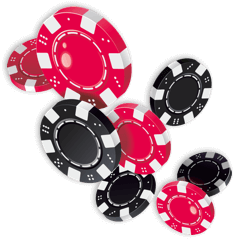 Here at Lucky Red Casino, we are committed to creating and maintaining an environment that centers around responsible gambling. To help people who think they may have issues with problematic gambling habits, we offer a number of services. First, we will gladly exclude you from all promotions, emails and other communications. Second, we can set up strict deposit limits to your account on any daily, weekly or monthly time frame to limit your contributions to your account. We take underage gambling very seriously at Lucky Red Casino, and that’s why we never intentionally advertise or market towards children. We are very active in tracking people who are not legal adults who try to play with us, and we are particularly aggressive in discouraging and seeking out players who may try to get past our controls. To this end, we suggest that you never leave the Lucky Red Casino software open while a minor is around, and we suggest that you use strong passwords to keep minors out of the software when you are not around. A pro-active approach is the best approach, and that’s why we also recommend installing childproofing software to any computer that has casino software installed and/or using separate user accounts with no access to those programs for children. If you ever need assistance or believe that you may be exhibiting problem gambling patterns, feel free to contact our customer service department. A customer service representative will be glad to help you place limits on your account and help you to find local support to give you the assistance that you may need. We have live chat, telephone and email options available 24/7/365, so please contact us if you have this or any other type of concern.